I love my little helper! Nice to have a buddy by my side. Sometimes she does get in my way. When I am trying to design using EQ7. That's when she wants to lay on the keyboard or walk around right in front of the screen. Back and forth rubbing her tail in my face. Other times I am like "Hey, do you mind if I use that fabric you are lying on. 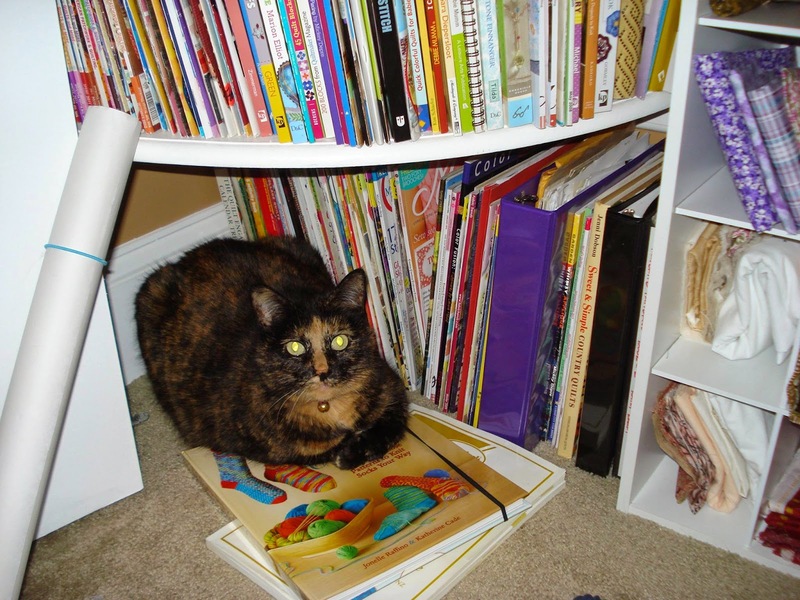 She is a great protector of my books and magazine. As long as they are on the shelf. However, if I sit on the couch and try to look through one she likes to jump up and try to scratch at the pages as I turn them. 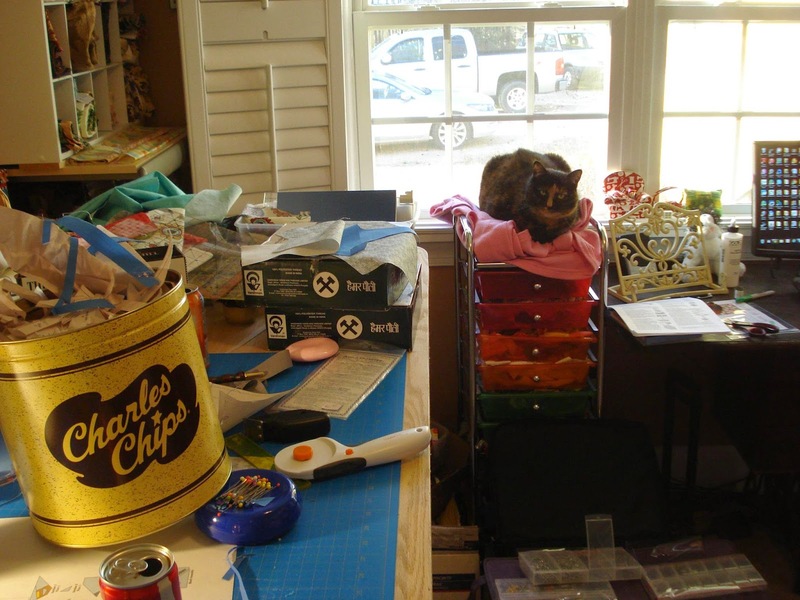 As I found out this weekend she apparently likes paper piecing too LOL. I would show you what I am working on but then I would have to kill you. ha ha...I am testing a block for Quiltmaker 100 blocks. 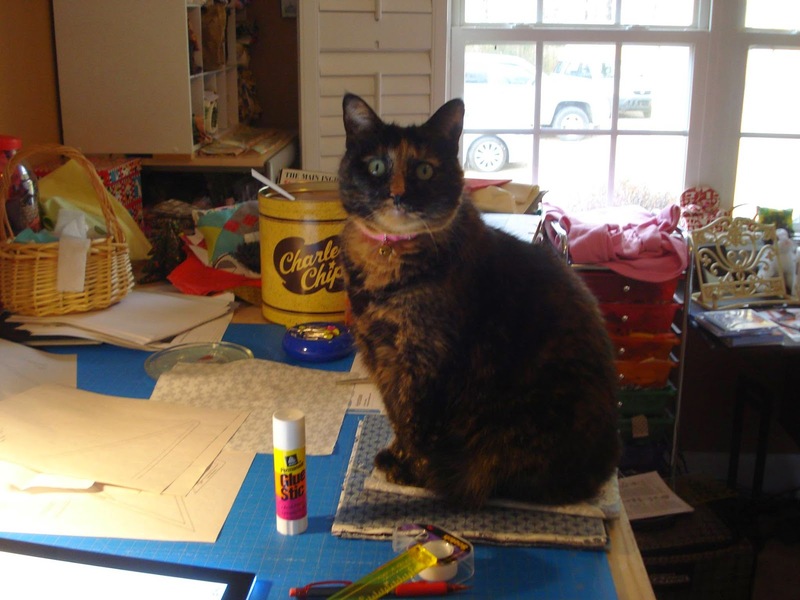 Do you have any helpers in your crafting room? Have a Kwilt Krazy day!